Welcome to our link page. SeaRiverShips.eu is an online community and forum based on European sea-riverships in all its facets. It aims to share photos, information and news about sea-riverships in Europe. Site with very nice ship pictures and info, location: Kiel Canal. 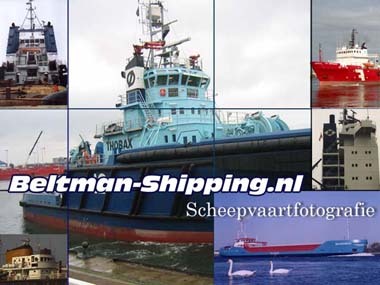 Beltman-Shipping, a collection of shipping photo's of tugs, offshore vessels, merchant ships and sailing ships. Collected over a wide range of years. Most photo's were taken in Dutch ports, some additions were taken by friends and relatives. German site by Jan Svendsen and Jan Tiedemann. Belgian site about cruise vessels that visit Zeebrugge, very interesting! On this site you'll find 1984 ships of Shell Tankers built between 1845 and 2013, and the ships of The Eagle Tanker Company Ltd, built between 1912 and 1959. Now the Oil- and Gas- fleet managed by Shell International Trading and Shipping Comp. London. Dutch site that contains fishing vessels. French Maritime site by Hervé Cozanet. Dutch site about the Maritime Memories of Fred Claessen. 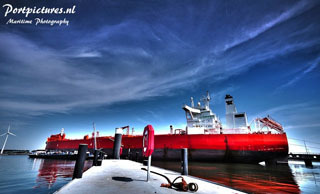 Beautiful maritime site by Danny, dockworker and port photographer in the Port of Rotterdam (NL). Most pictures were taken at the Belgian harbours Zeebrugge, Oostende, Antwerpen, Blankenberge, Gent, Brugge and the Westerschelde and their immediate surroundings. On this site you will find pictures and information about spotted vessels. The pictures are made by Hugo Ollieuz, some by relatives or friends. Nice site by Michel Elias about ships on the French, Belgian and Dutch coast. Site with pictures taken at Terneuzen NL). Very nice site, lots of pictures of the river Mersey and the Manchester ship canal. Very interesting site about the tugs used in the docks of Antwerp(BE). As the name says, very nice site about the salvage of ships and more. Dutch site about tugs, with lots of pictures and info. Sale of CD-ROM, detailed descriptions of express coastal steamers and cruiseships. Site by Eukor Car carriers. Site of the tug Hermes. Port of Antwerp (official website). Port of Ghent (official website). Port of Ostend (official website). Port of Zeebrugge (official website). promoting maritime safety has been the core commitment of the American Bureau of Shipping (ABS). APZI (Association Port of Zeebrugge Interests) is a private sector association in the port of Zeebrugge (official website). Det Norske Veritas ship registry / vessel info. French site with ship info and registers. Assurance, consulting and classification for the maritime and energy industries. Maritime Home Page of Steve Harris. ClassNK offers a broad range of services the encompass every aspect of ship classification from the approval of vessel and machinery plans to the survey and registration of the ship and ship installations, approval of materials, equipment and outfitting gear, as well as the assessment and registration of ship safety management systems and security systems. Site about AIS and receivers. Het bijhouden van nieuws over de Nederlandse koopvaardij, kustvaart en sleepvaart, tevens het uitwisselen van foto's en gegevens van de vloot. Daarnaast aandacht voor algemene maritieme zaken. Kustwacht België - Coast Guard Belgium - Garde Cötière Belgique (official website). "Onafhankelijk Nautisch Advies Bureau" or "Independent Nautical Consultancy Agency". VLOOT is de reder van de overheid / VLOOT the company of the government (official website). VTS-Scheldt Common Nautical Management (official website).